Get a total-body low-impact cardio workout and burn calories to lose weight with the Alpine Elliptical Glider Machine. The Alpine Elliptical Glider Machine is suitable for people of all ages and fitness levels. 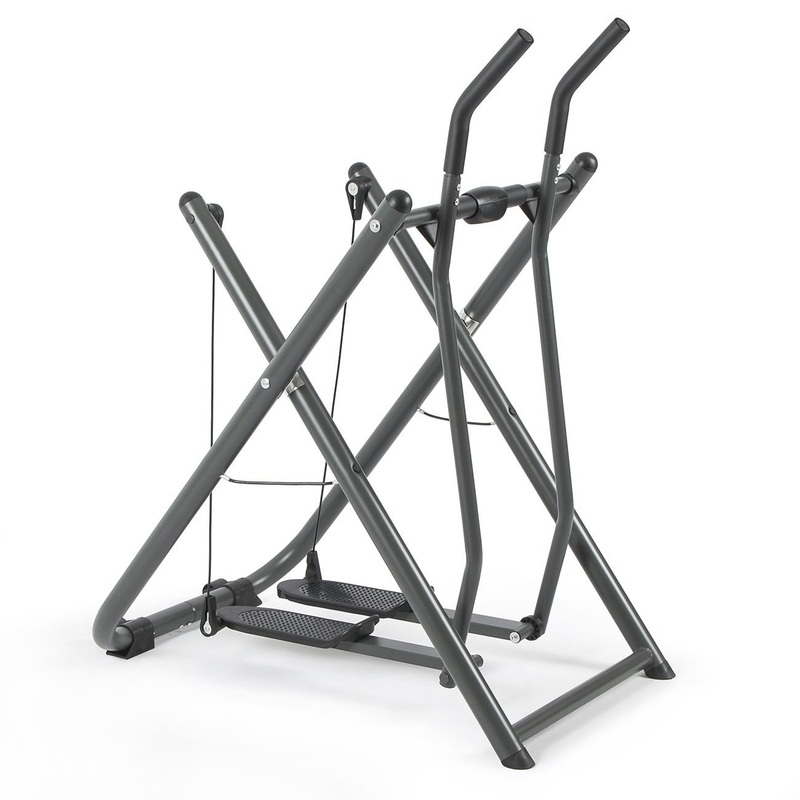 This gliding exercise machine focuses on stretching and strengthening your muscles in a low-impact way that’s easier on your joints compared with many other types of exercise. The Alpine Elliptical Glider Machine is designed with a dual-action split suspension system that provides a complete range of motion and freedom of movement. This unsurpassed range of motion allows you to go fluidly from a slow walk to a full run with no sudden jarring stops. 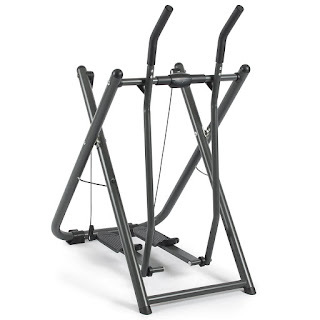 The Alpine Elliptical Glider Machine offers a maximum 90 degrees amplitude of the swing pedal. It’s straightforward and easy to use – stand on the machine and start moving your legs back and forth. As the pedals move, so do the handlebars so you effectively work both your lower and upper body together. 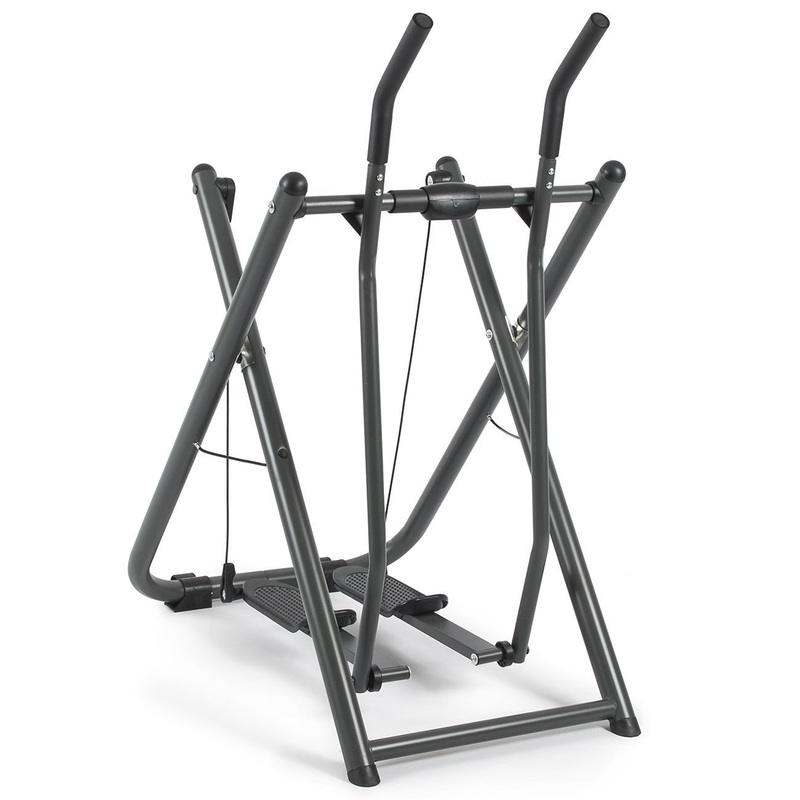 The Alpine Elliptical Glider has no built-in resistance levels so you can effectively control the intensity of the workout yourself – lengthen your stride and increase your speed by moving your legs faster with a wider stride to increase the intensity closer to a running speed or slow down your speed and decrease the width between your stride for a slower walking pace. Sturdily constructed, the Alpine Elliptical Glider is stable and comfortable to use, offering a maximum user weight capacity of 250 lbs. The foot platforms feature a safe non-skid design and the handlebars are covered with high-density foam EVA cotton for extra comfort. 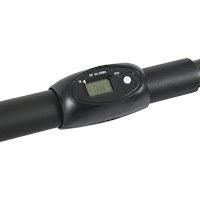 The Alpine Elliptical Glider comes with an electronic display that shows your workout stats as you exercise including time, speed, distance and calories burned to help keep you motivated. 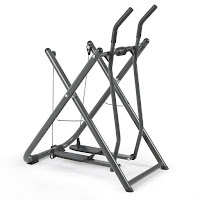 To help save space when not in use, the Alpine Elliptical Glider features a folding frame design and rear-mounted transportation wheels so you can easily store the machine away or move to a new location if required.